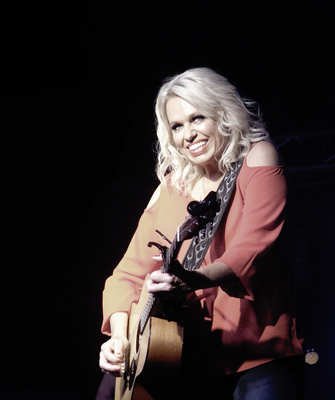 SHE'S BACK: Country star Beccy Cole is returning to Geelong with songs from her new album. Adelaide country songstress Beccy Cole returns to the Gateway Hotel this month, weeks after releasing 12th album Lioness. “Some of my favourite moments and stories come from the Gateway,” the 45-year-old told the Indy a couple of days after performing in Ballarat. One memory in particular at the venue sticks out at Cole, who will return on 21 September. “There’s a part in my show where I skol a beer,” she said. Cole released Lioness on 24 August, with the album featuring a lead single by the same name about her “world beyond falling in love“. The song takes listeners on a journey of mishaps before returning to a chorus declaring life better with her partner. “Lioness is about the strength and capabilities I have realised since experiencing life with a loving and supportive partner,” she said. The album reached fifth place on the ARIA country charts and topped the Australian iTunes country list. “I released on the same day as John Williamson, which is always a challenge,” Cole said. The album is 100 per cent female-produced and Cole is touring with an all-women band. “I wanted to do that to prove there are some amazing female musicians in Australia,” she said. She wanted her musicians, like drummer Ali Foster, to inspire young girls to rock out on stage, she added. The album was full brazen truths and comedy, Cole said. “I think you can hear the rawness and the energy on the album. A lot goes into the writing and recording of it. Even after 25 years performing, Cole still got nervous before hitting the stage, she admitted. “But as soon as I start singing the nerves seem to dissipate,” she said. Cole was at the Gateway earlier this year on tour with fellow country musician and great mate Adam Harvey. The Leopold-born rocker told the Indy Cole was “as mad a bloody cut snake” in April. “We are both absolute nutters,” she said. The two mates toured together across Australia for the first half of this year. “But now I’ve gone my way and he’s gone his,” Cole said.